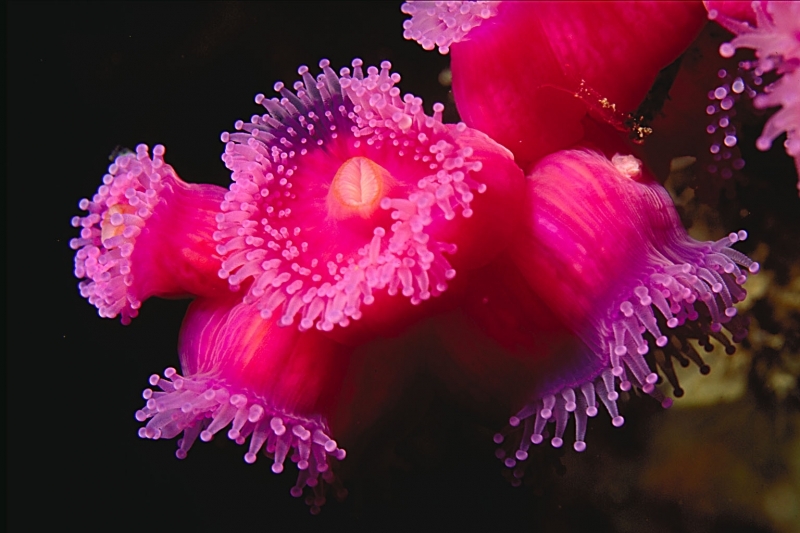 Sea Anemones are beautiful marine animals with wavy tentacles and resemble underwater flowers. 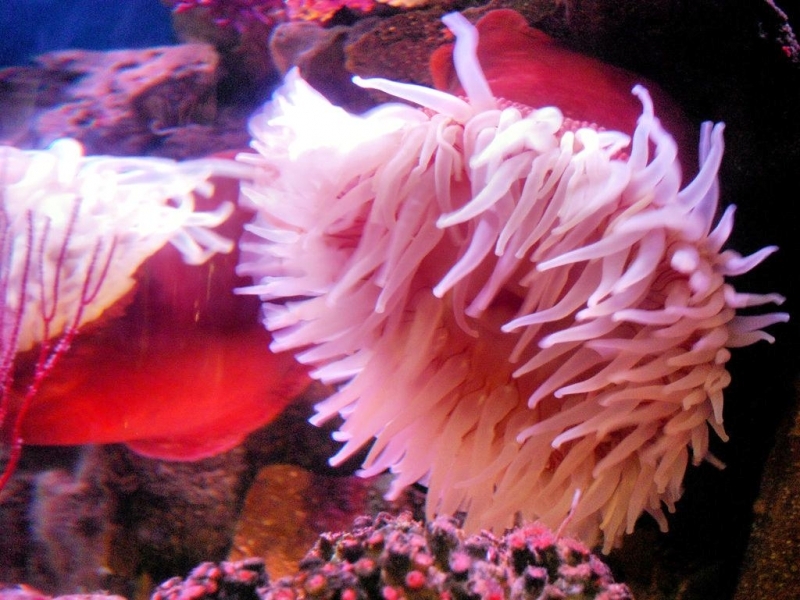 They are named for the Anemone, a terrestrial flower. 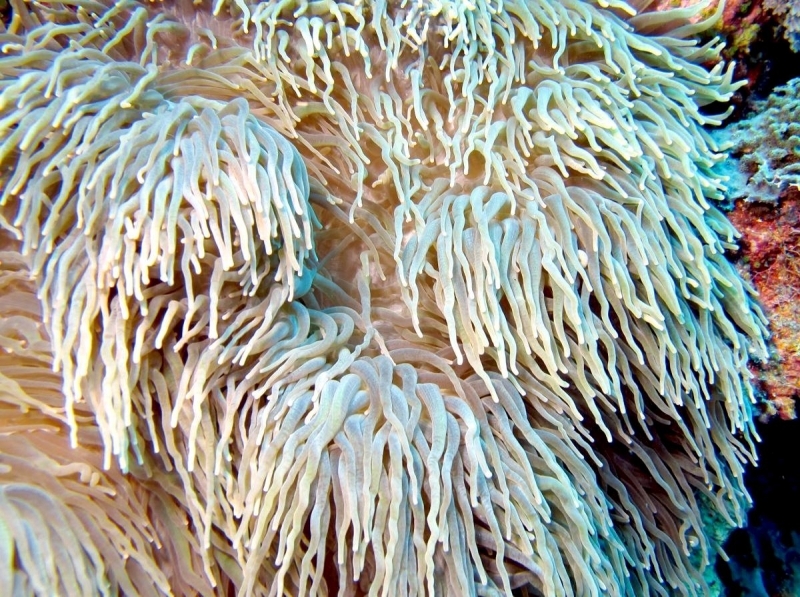 They are usually brightly colored adopting shades of white, green, blue, orange, red or mauve often contributing to the spectacular walls of invertebrates populating reefs. 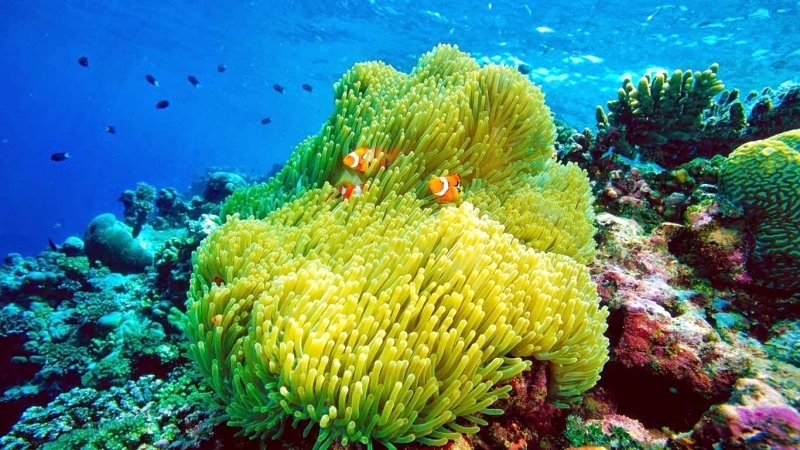 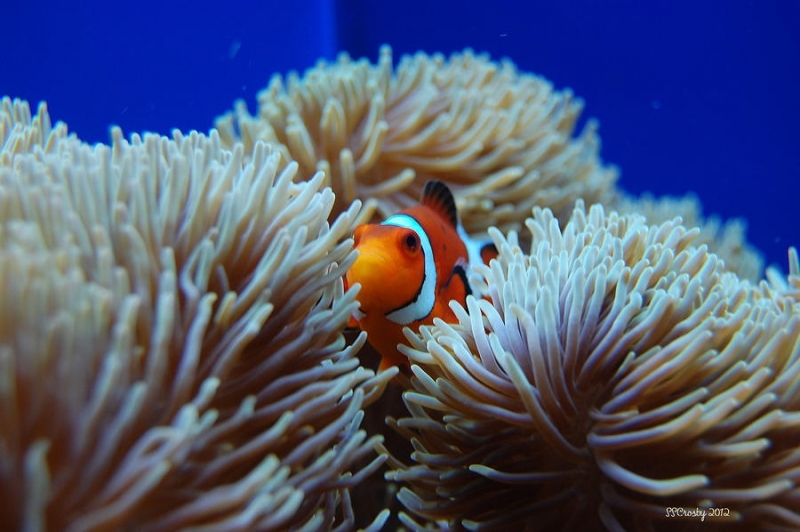 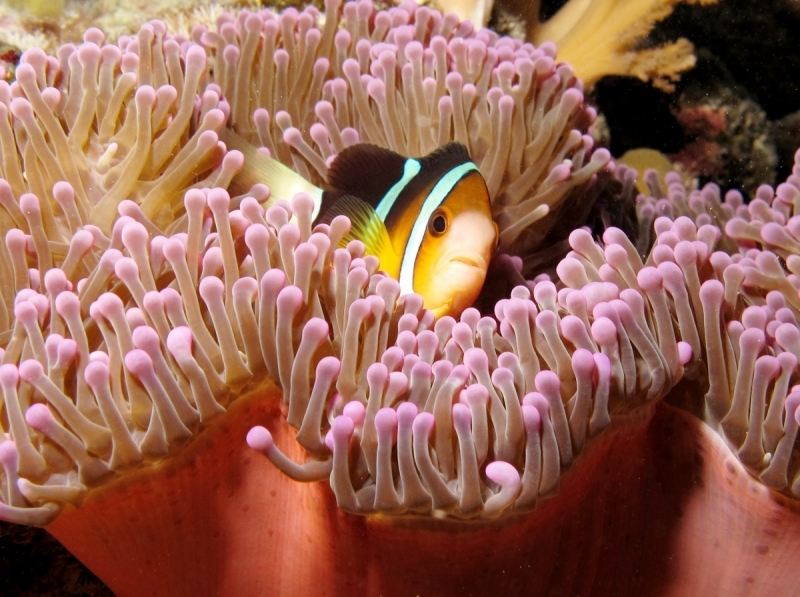 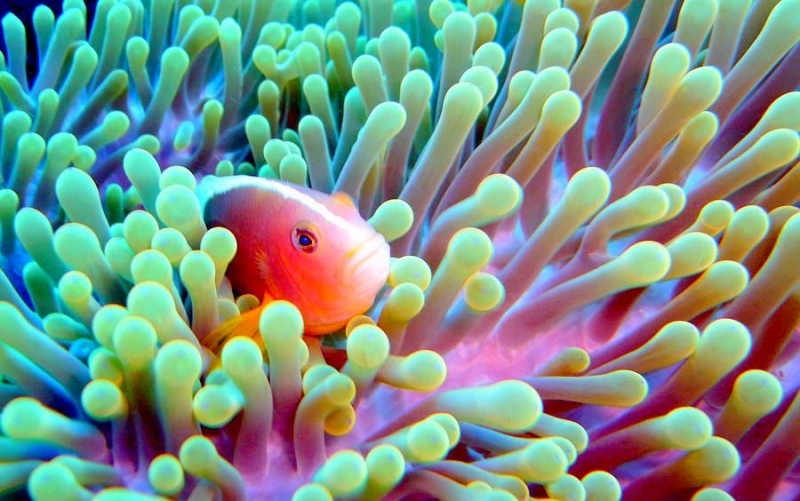 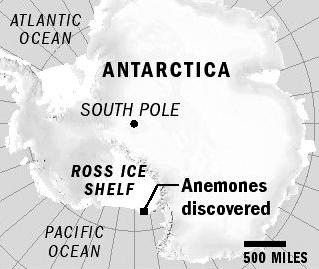 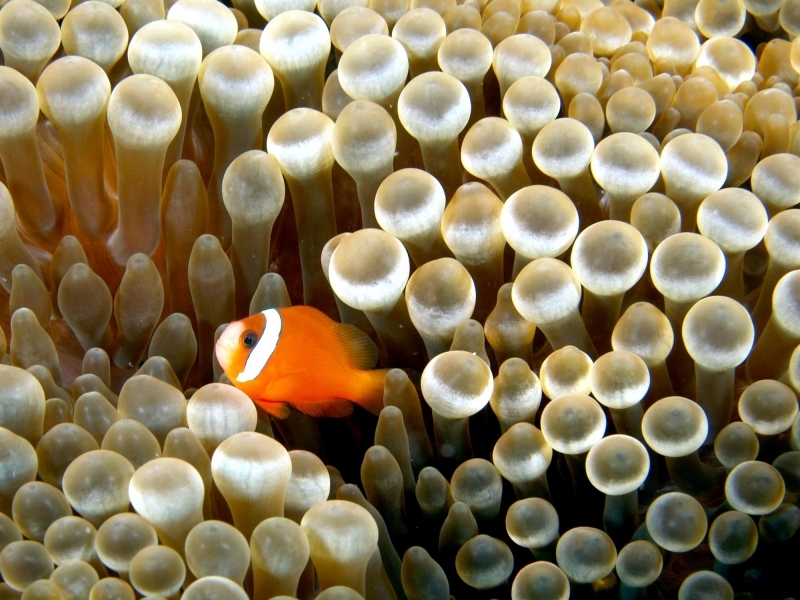 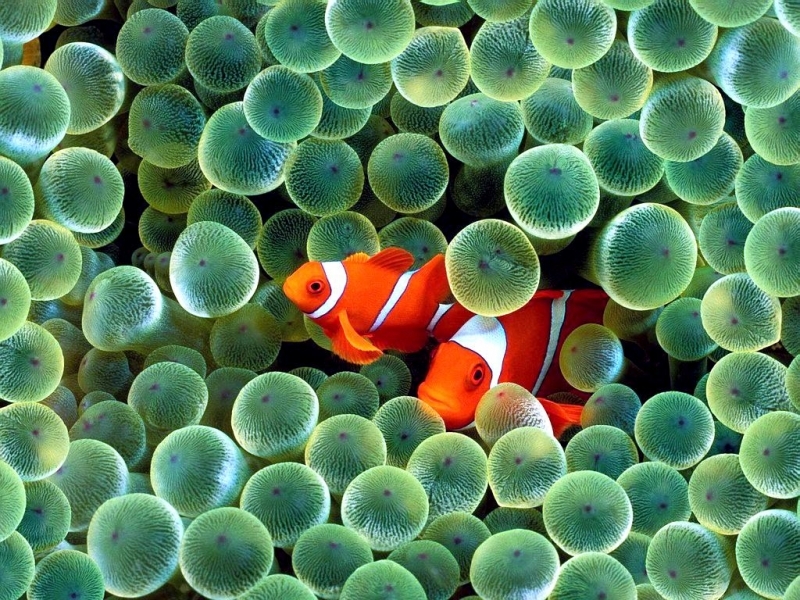 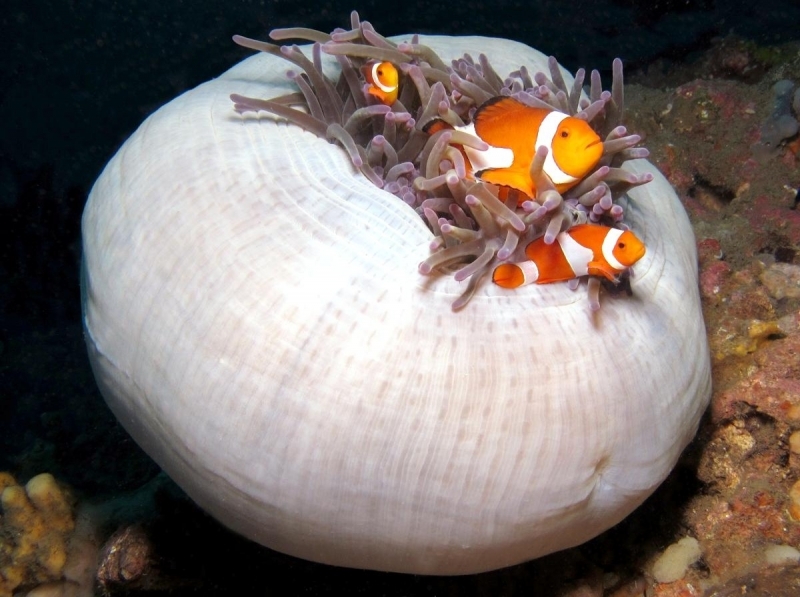 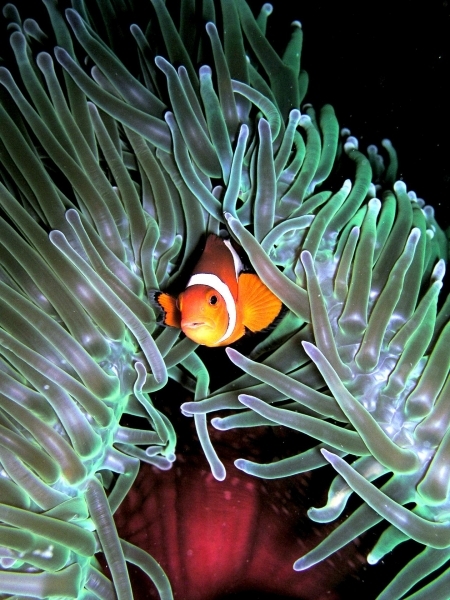 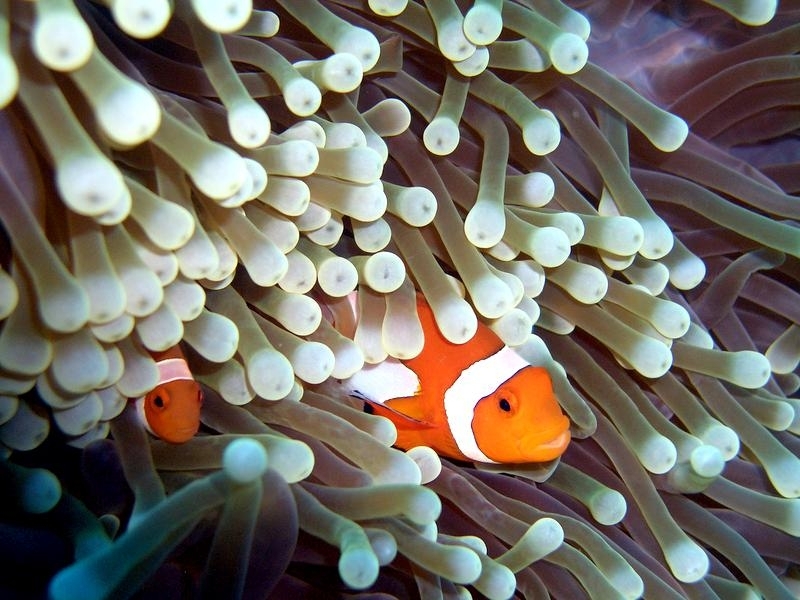 Some species form homes for the Clownfish, which shelter from predators in the Sea Anemone’s stinging cells. 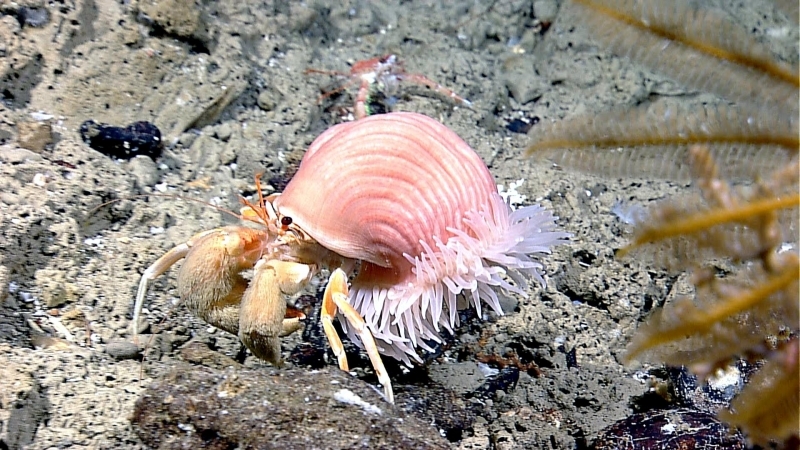 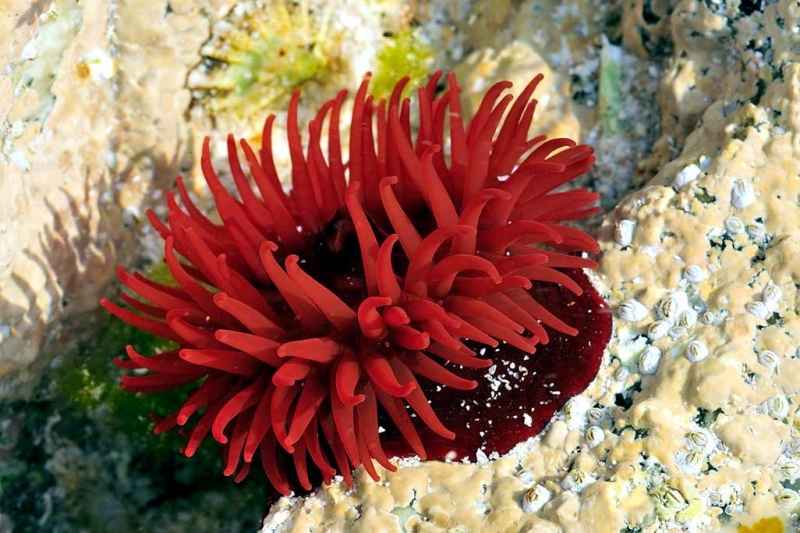 Some species of Sea Anemones are thought to be able to survive for 100 years or more. 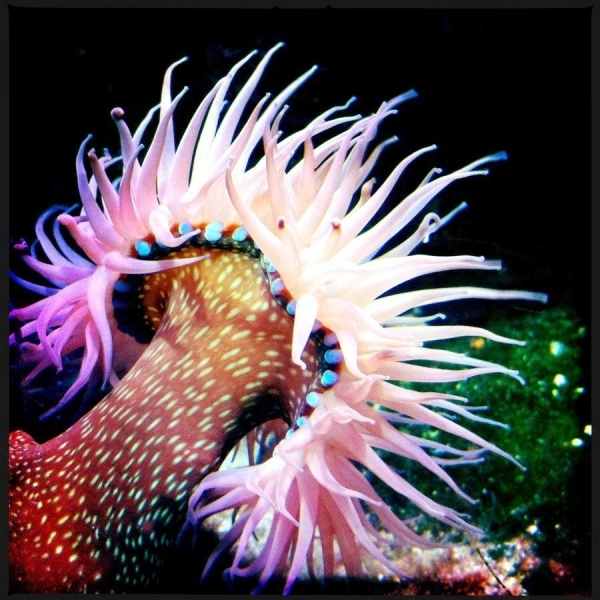 Sea Anemones are predatory and are related to both sea jellies & corals. 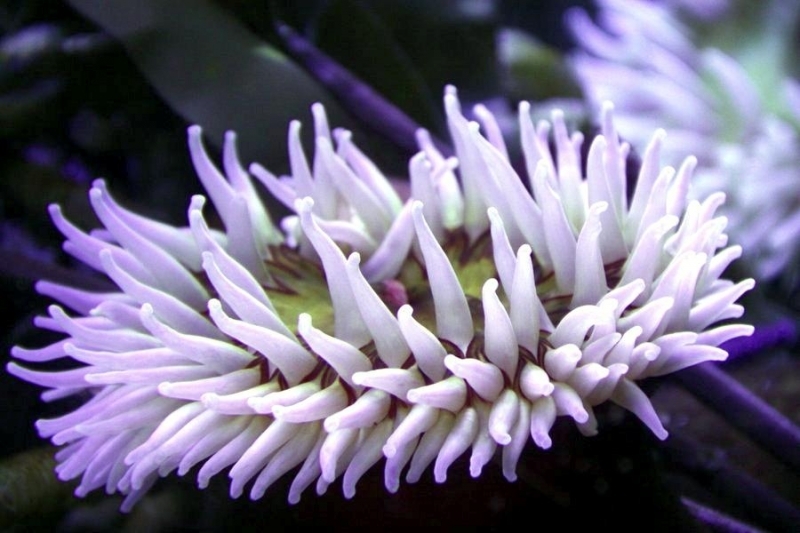 It is a type of polyp that is attached to a surface in the water. 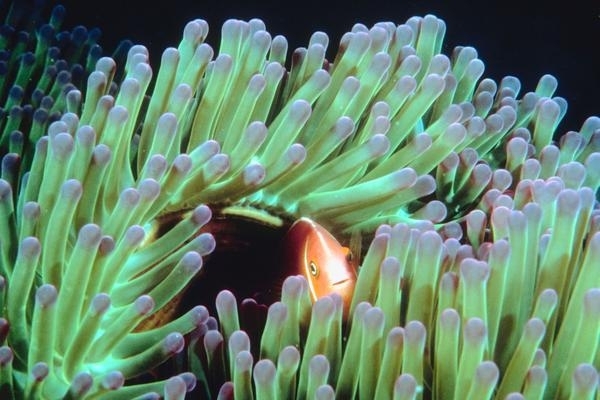 They are very small, often less than 1 inch in diameter. 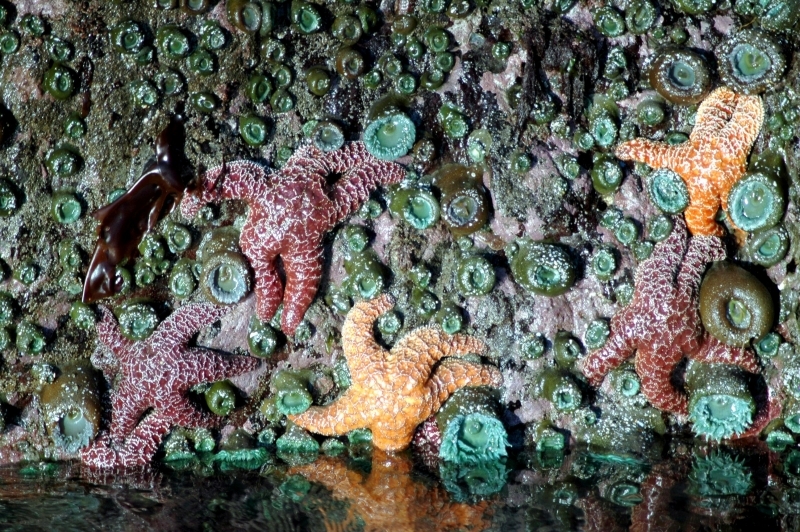 The largest ones are only about 1.5 inches wide. 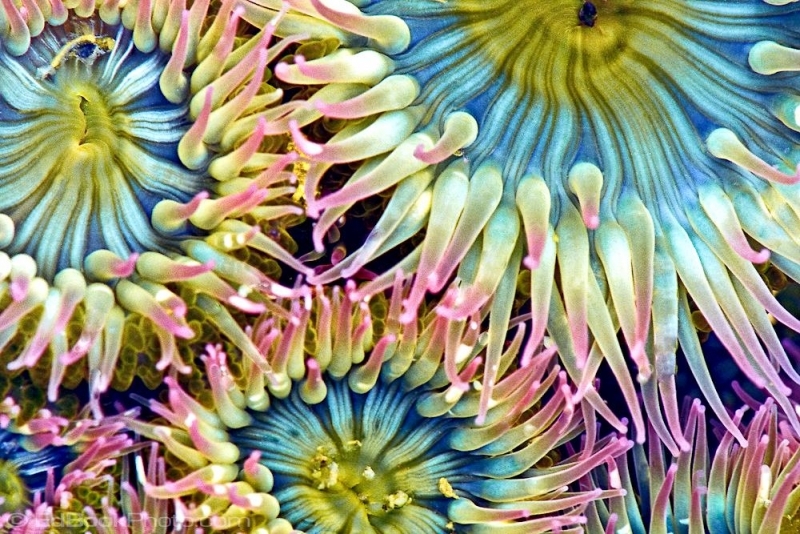 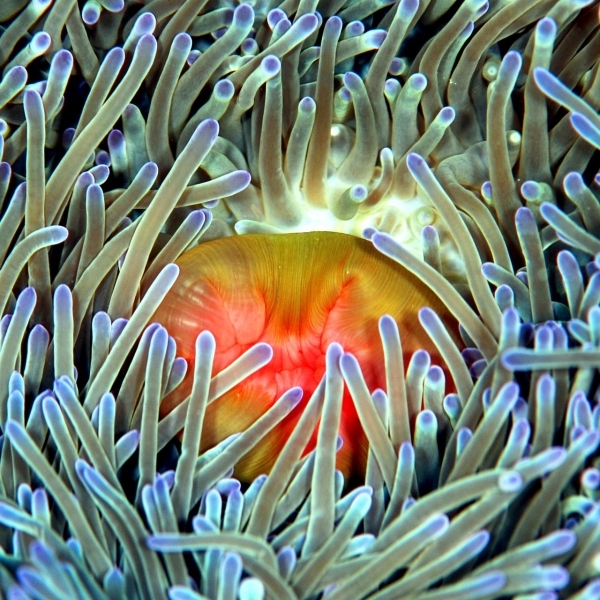 Sea Anemones offer hundreds of tentacles that allow them to identify their surroundings. 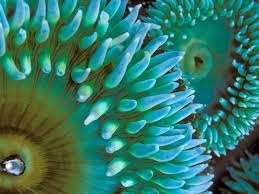 They can also sting things around them and release venom through those tentacles. 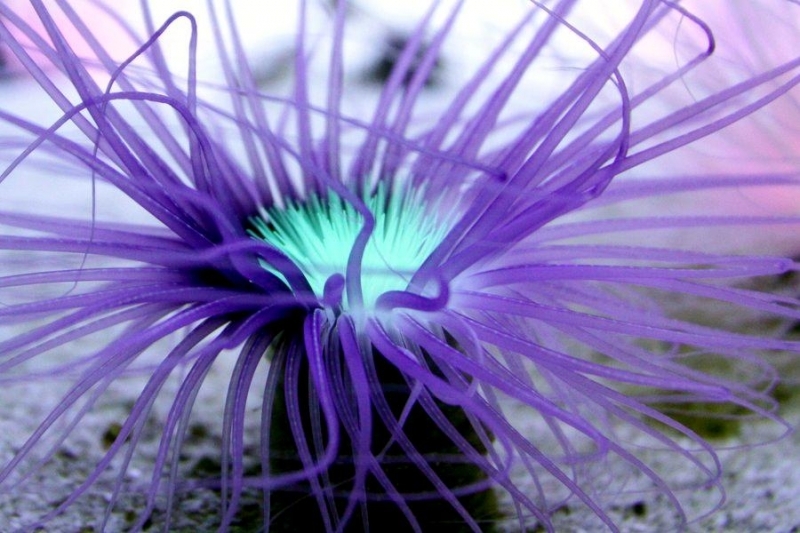 They can be very colorful and often look like flowers. 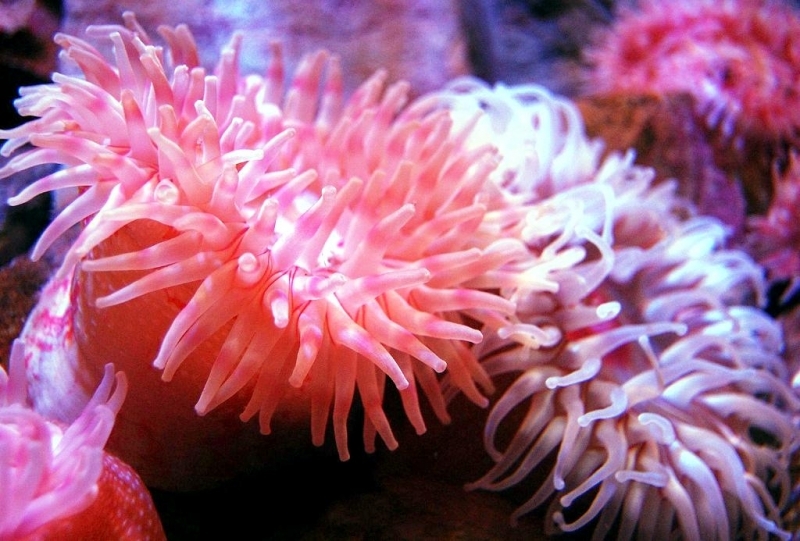 They are often various shades of red & pink, others are white in color and can have a variety of overall appearance features. 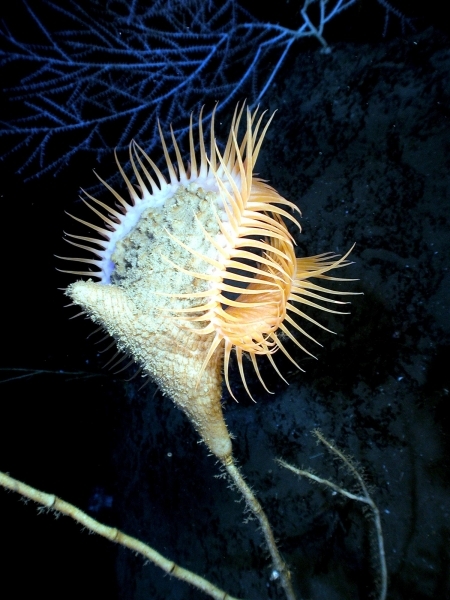 The body consists of a foot that is shaped like a pedal which is what allows them to secure and stay attached to their location in the water. 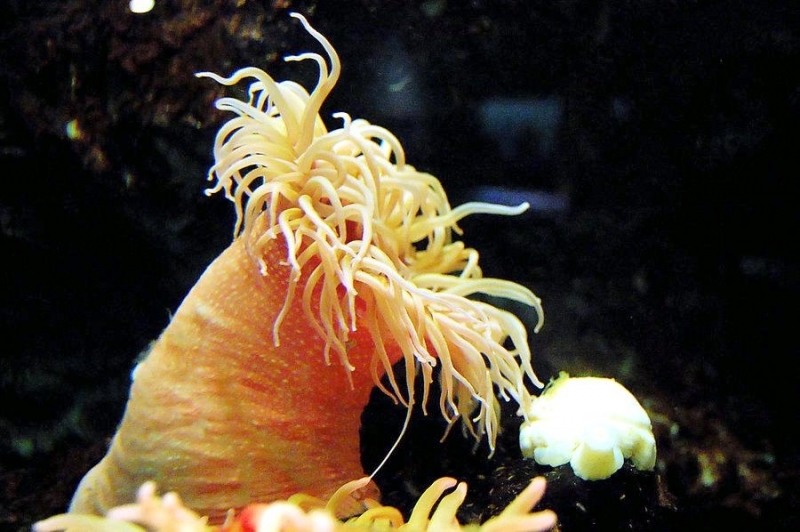 They have a body that looks like a long cylinder. 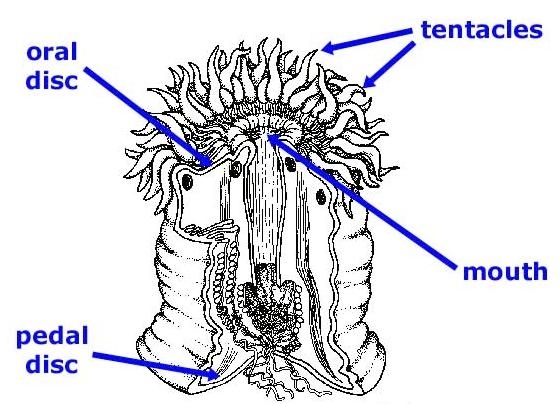 The tentacles are all around the mouth and are very hard to see. 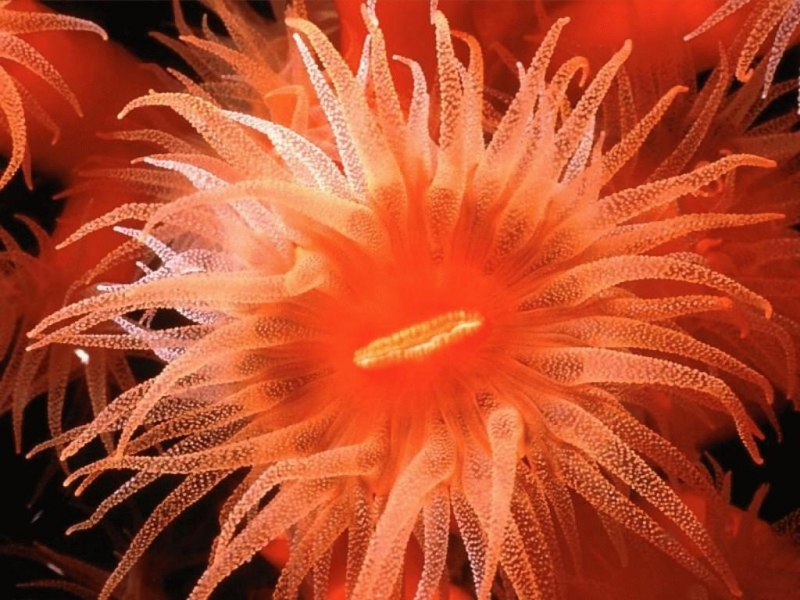 There are over 1,000 species of Sea Anemone and that is why their appearances can be so varied. 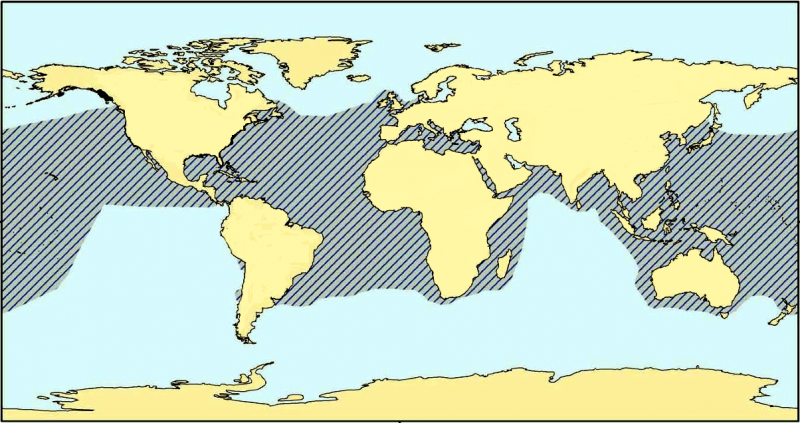 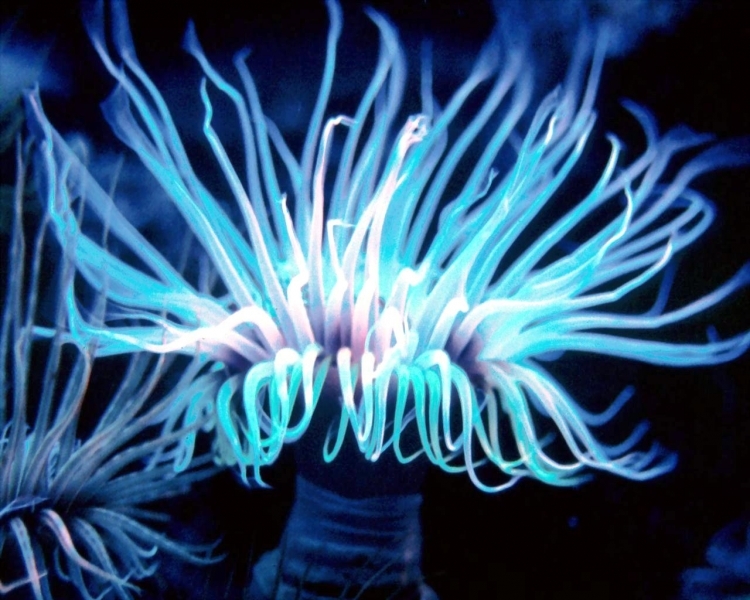 You will find them living in all of the oceans around the world living in a variety of water temperatures and at a variety of different depths. 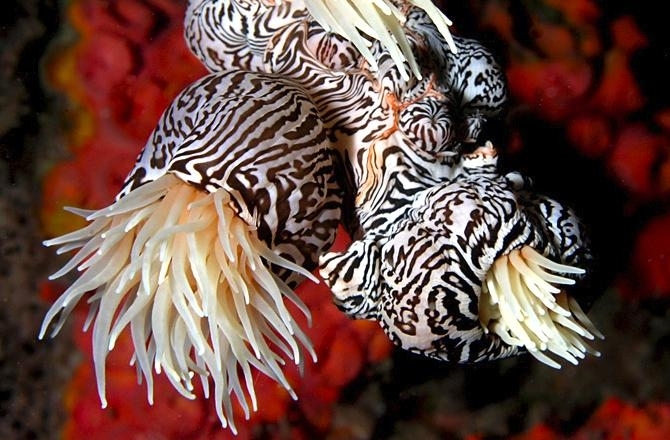 They are mainly found though in the coastal waters that are considered to be tropical. 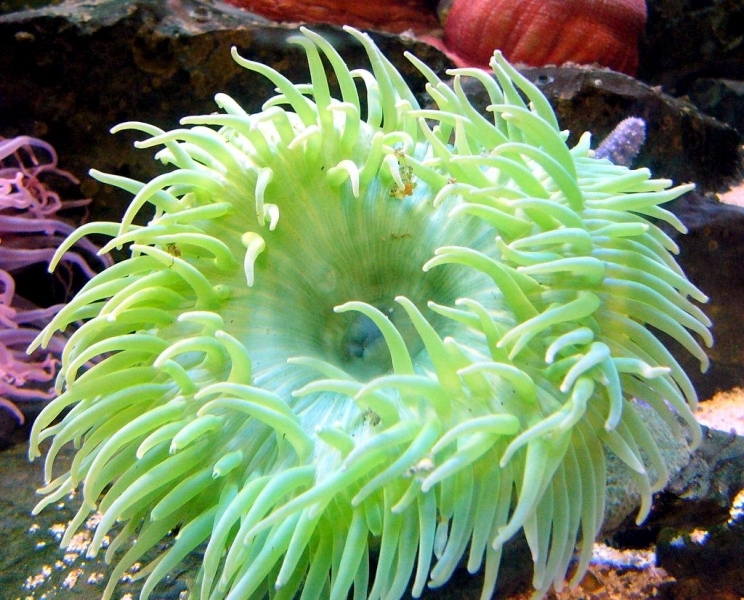 They tend to live in areas that offer plenty of Green Algae. 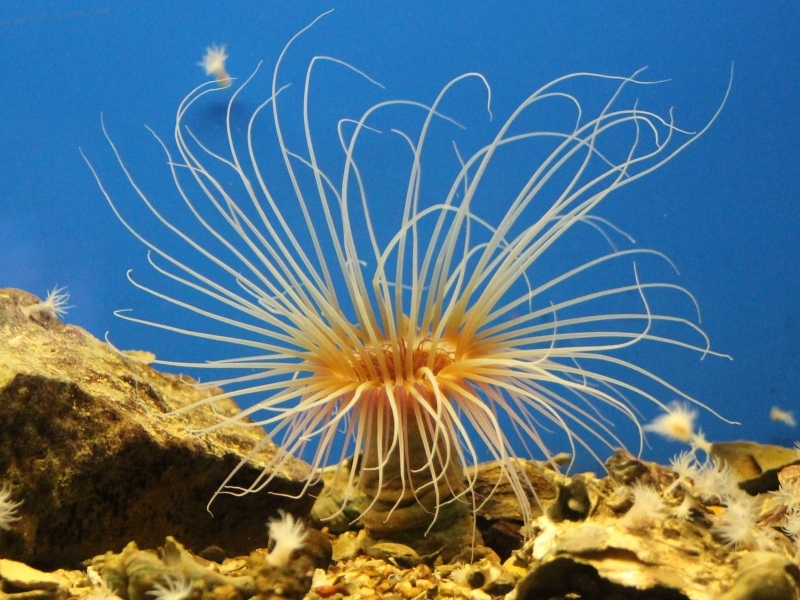 Due to their venom, there are very few types of aquatic life that will consume them. 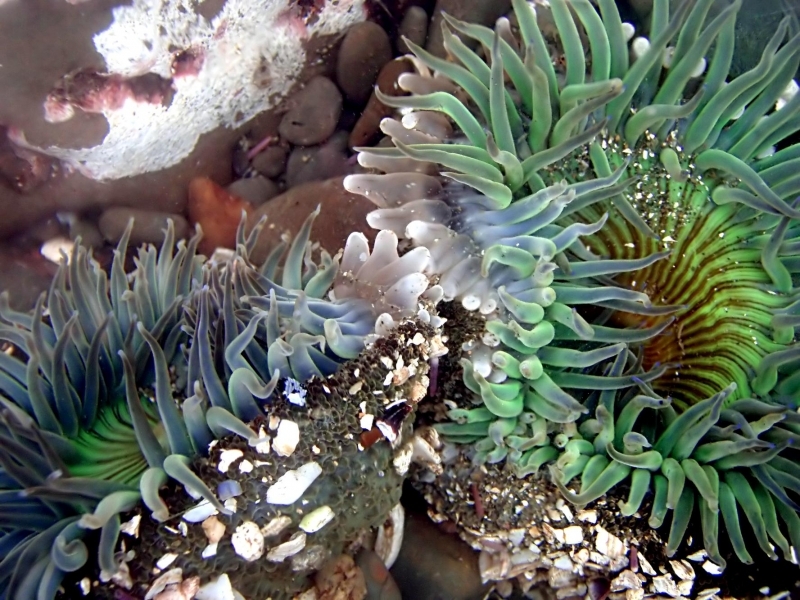 Experts believe that the relationship between the Sea Anemone & Green Algae is very spectacular. 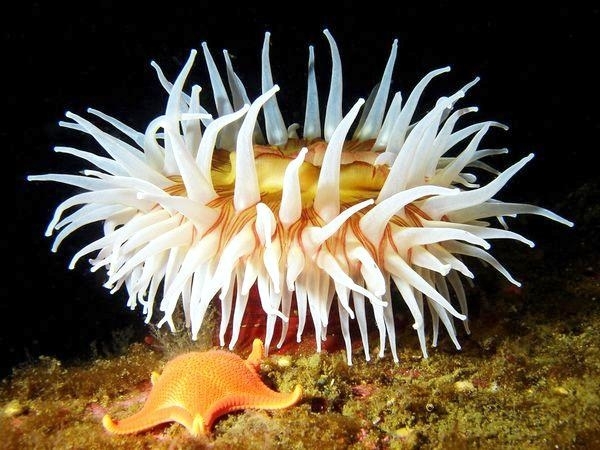 It ensures that both are able to survive. 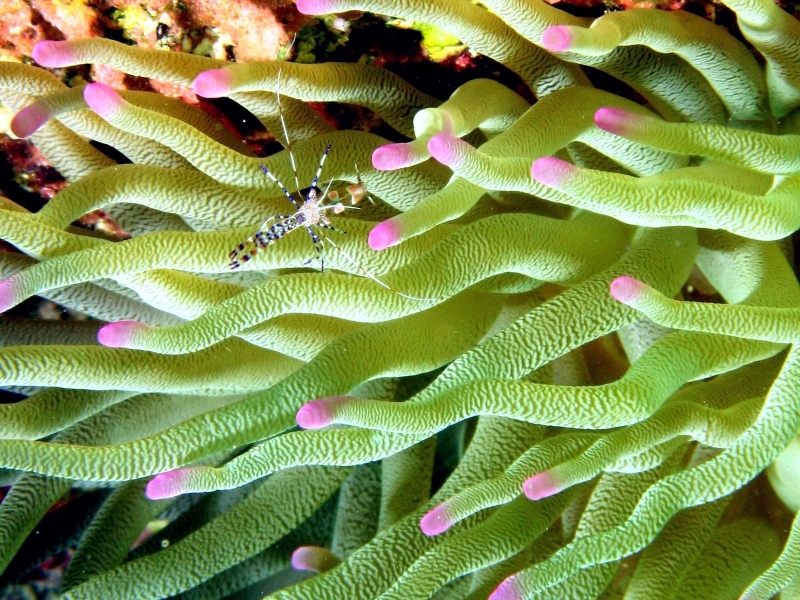 This entity ensures that the green algae has a safe place to thrive in the water and also gives them access to sunlight so that they can thrive. 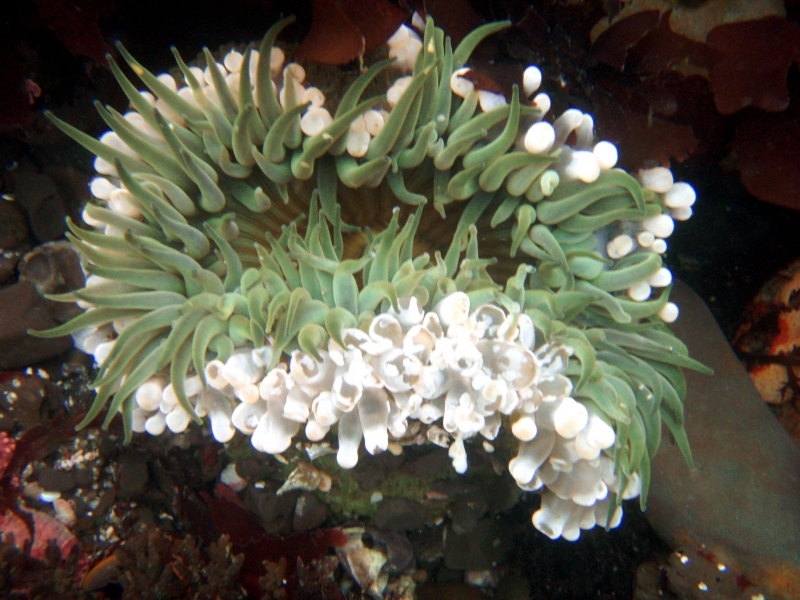 In exchange, the green algae offers plenty to the Sea Anemone which includes both oxygen & glucose. 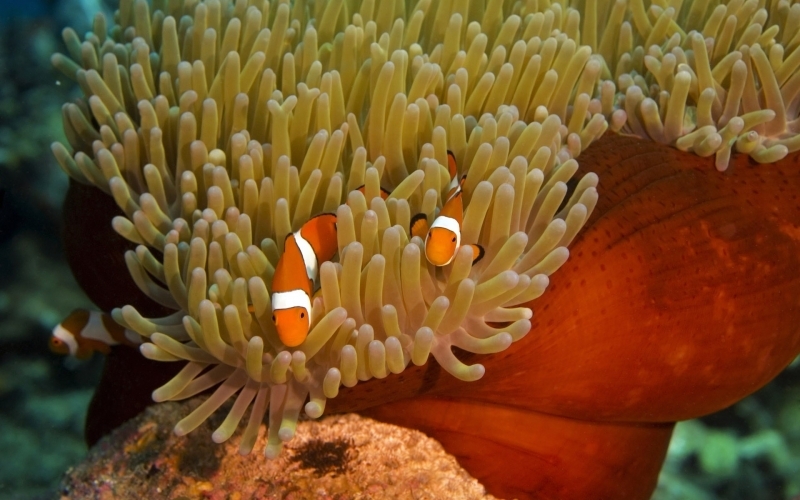 Those are both byproducts of the photosynthesis process of the Green Algae while having a similar type of relationship with Clownfish. 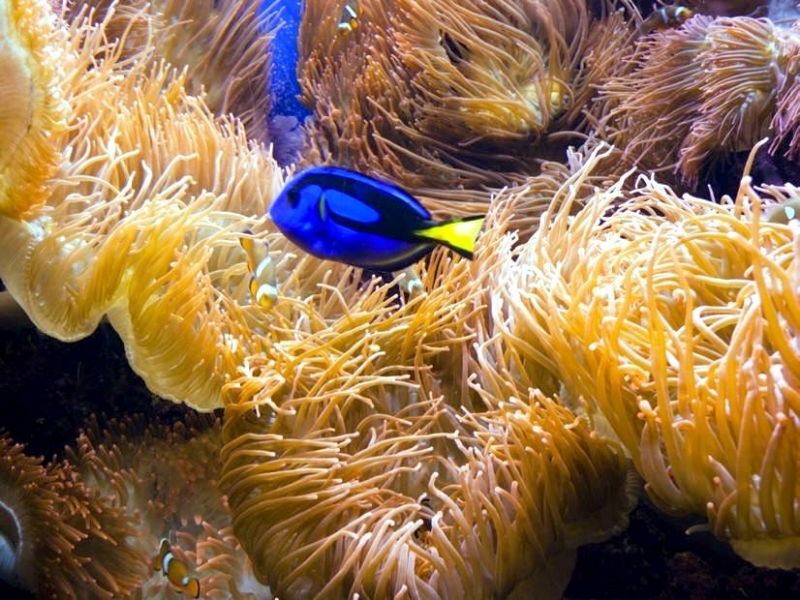 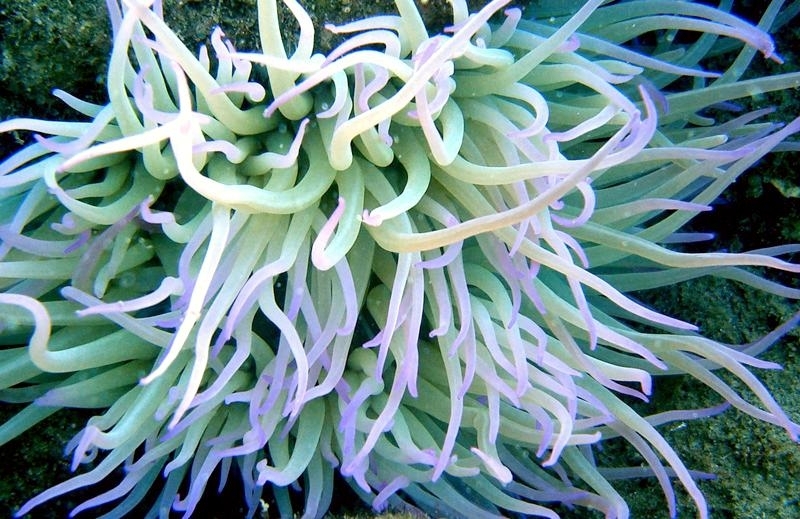 Sea Anemones have been known to sting humans such as Scuba Divers. 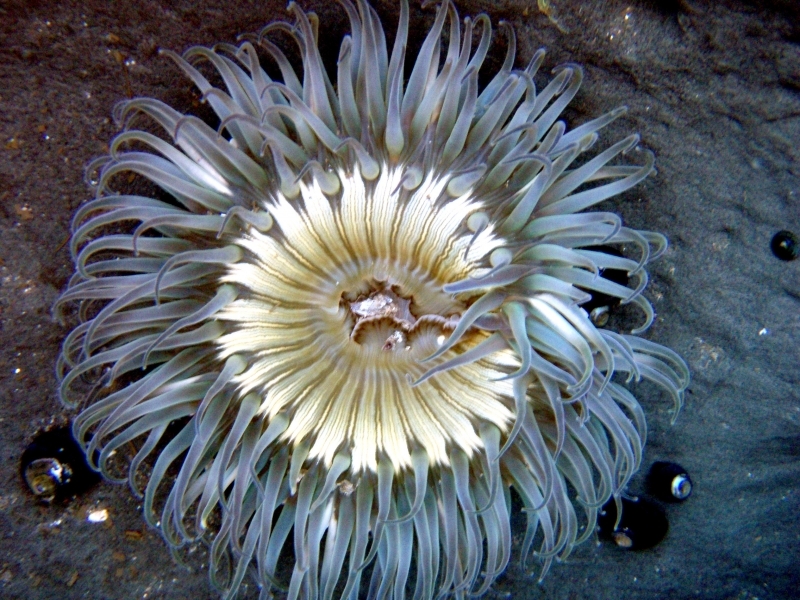 Most of the time though, the toxins they deliver from the venom are not powerful enough to really affect a human. 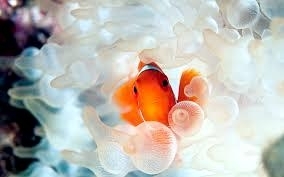 For those that are sensitive to them though, it could be a factor. 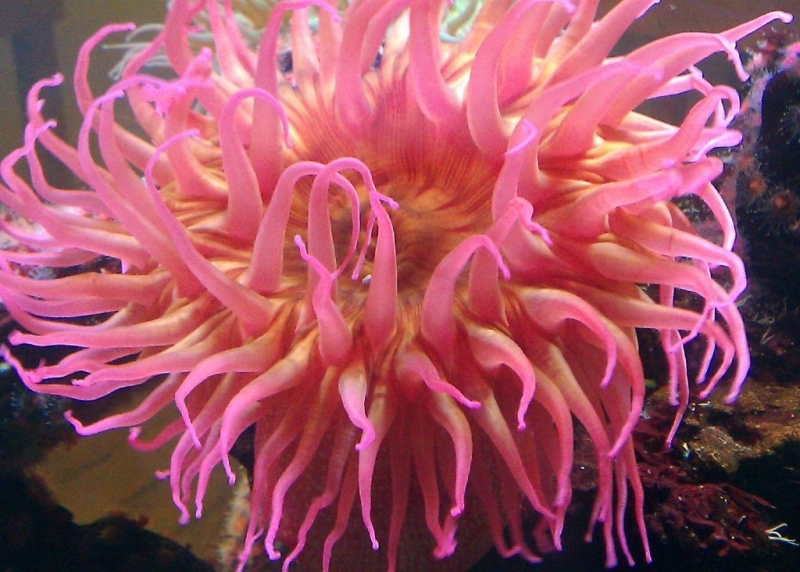 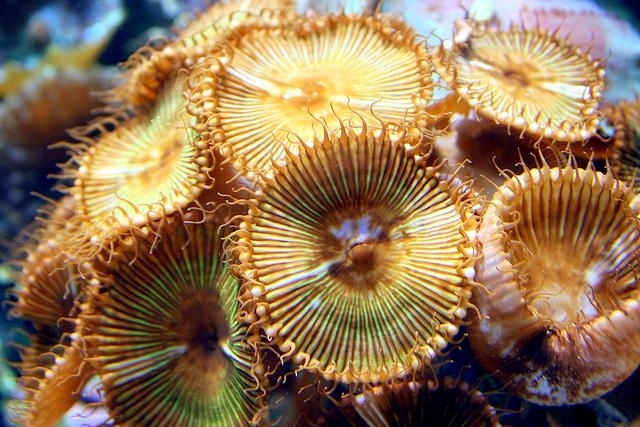 Due to the large polyps that the Sea Anemone display, they are able to consume prey that is much larger than they are. 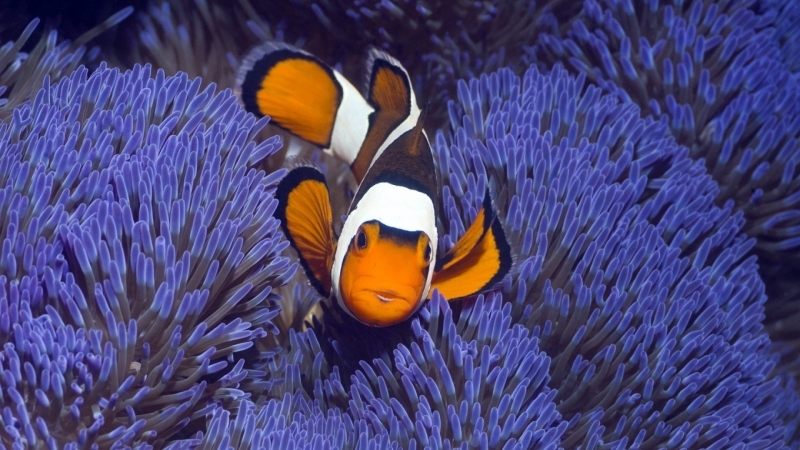 They mainly consume fish as they approach them. 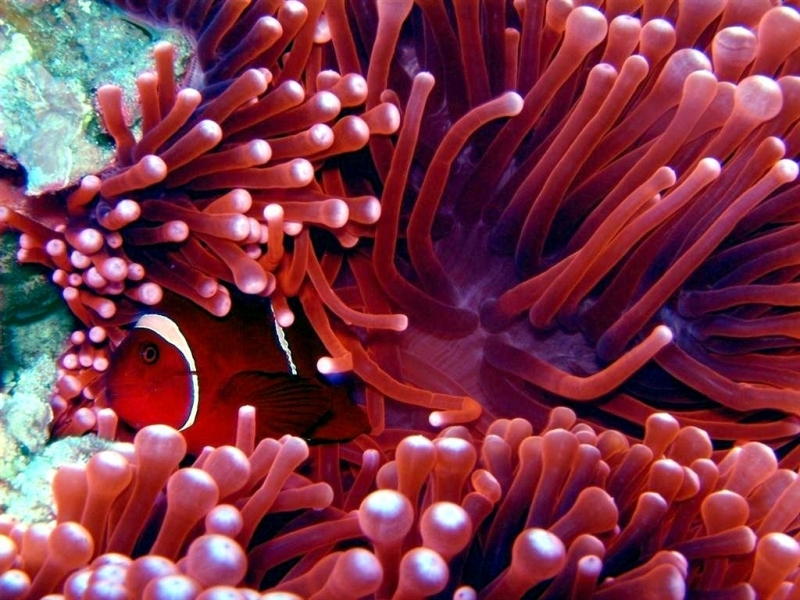 Since they blend in so well with the surroundings, the fish and other prey come along and don’t even know they are in danger. 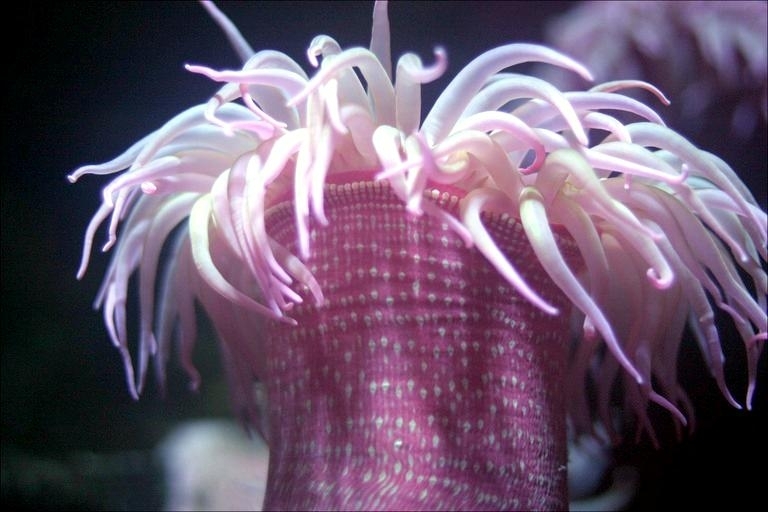 The tentacles from the Sea Anemone inject them with venom which immobilizes them. 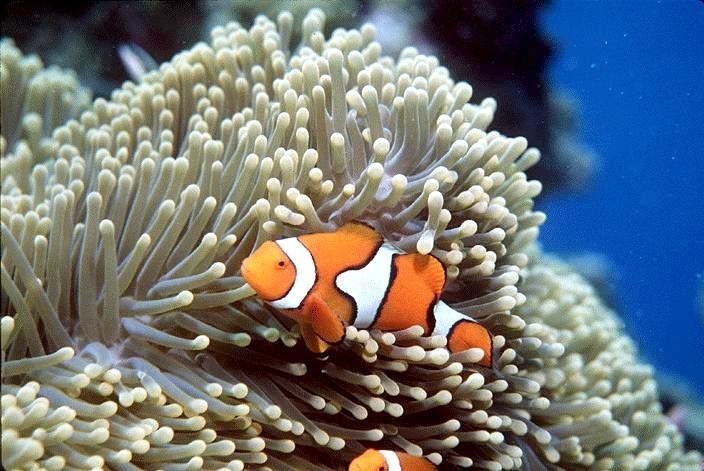 In addition to fish they consume zooplankton, crustaceans, larvae & worms. 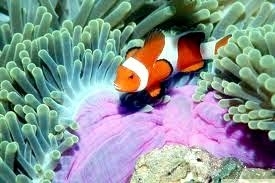 They are opportunistic and they will consume food any time it come along. 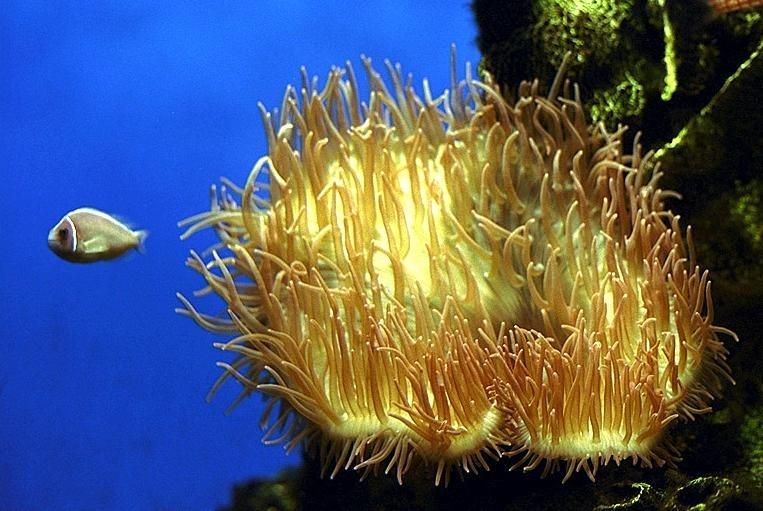 If there is no food they can’t survive as they aren’t able to mobile their bodies. 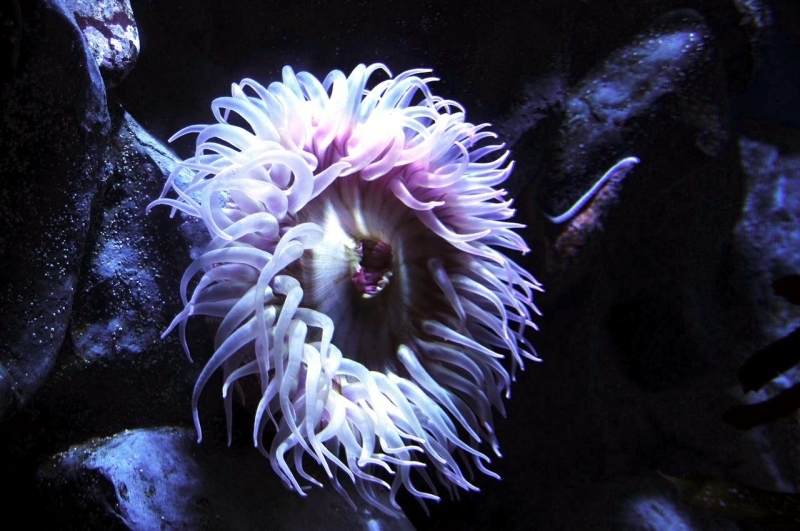 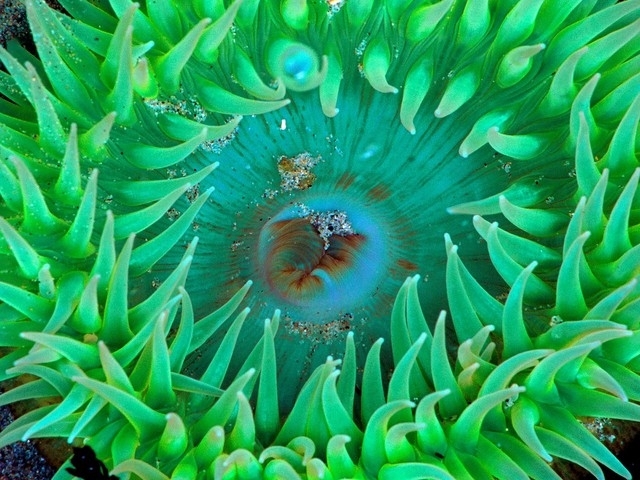 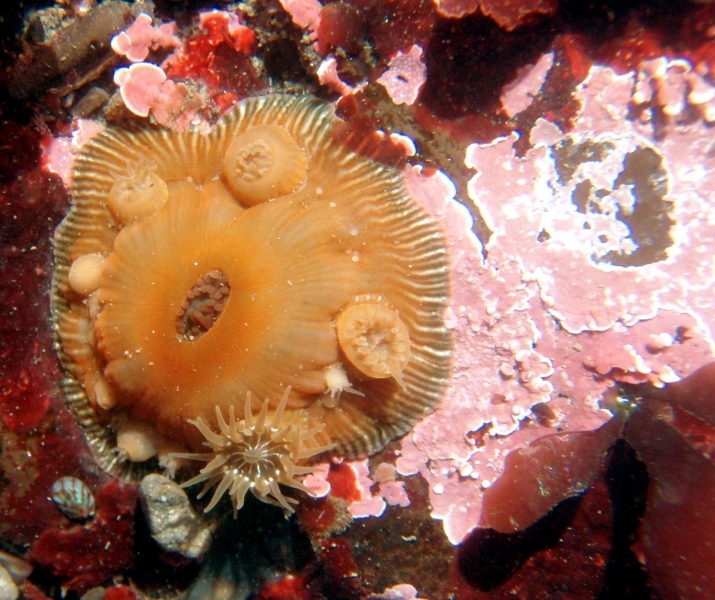 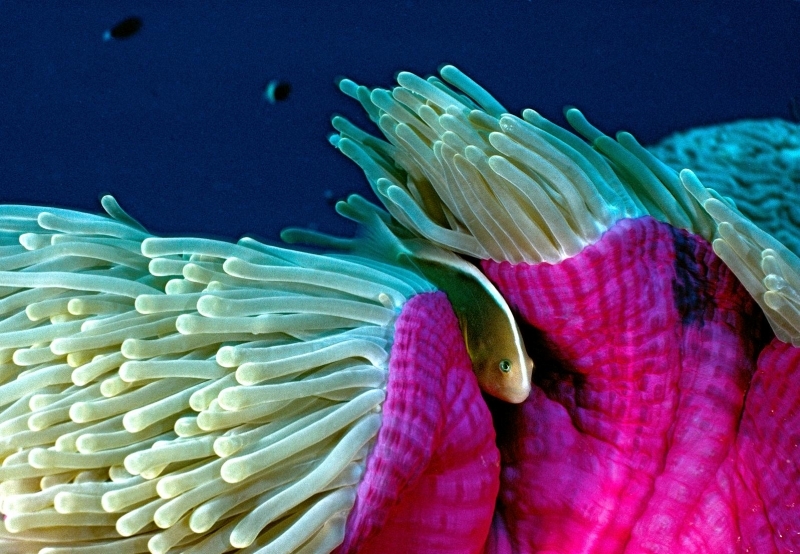 For the Sea Anemone, a complex process called “lateral fusion” is what takes place for reproduction. 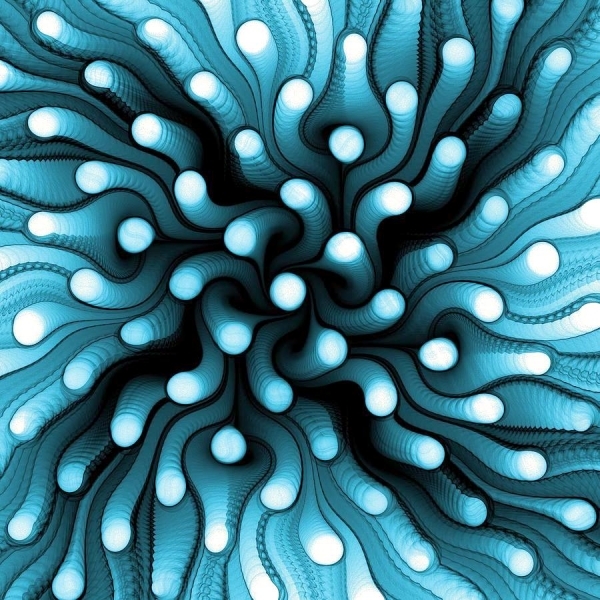 This involves the side of the entity opening up and then an identical part being created that is a second living one. 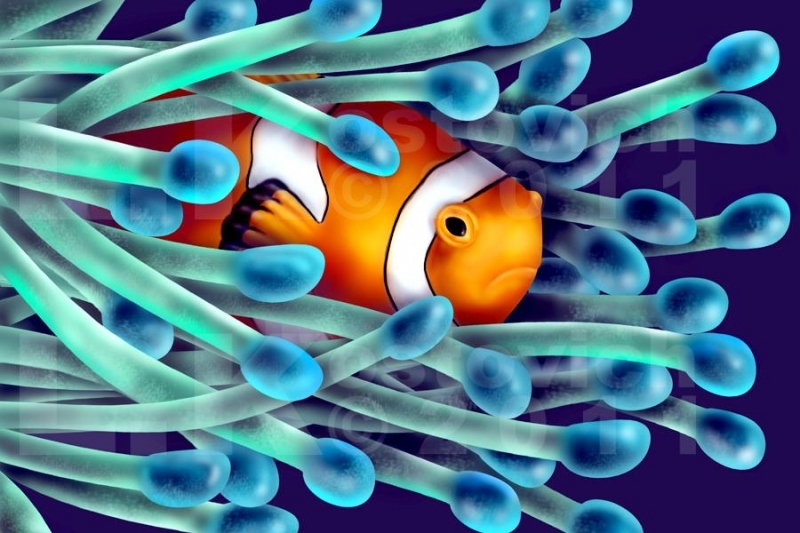 They will release eggs & sperm into the water and then the sperm finds the eggs to fertilize them. 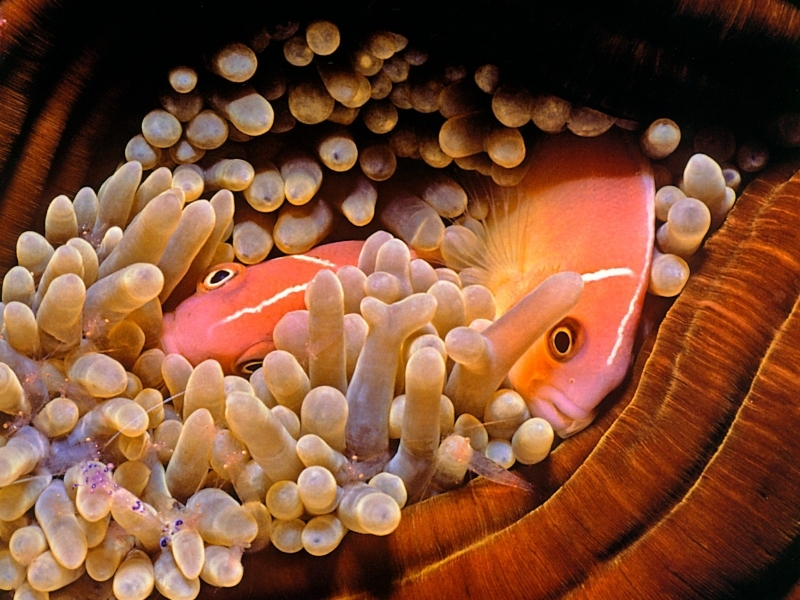 This is how they take part in reproduction as well however, only a very small number of their eggs will survive to the age of maturity. 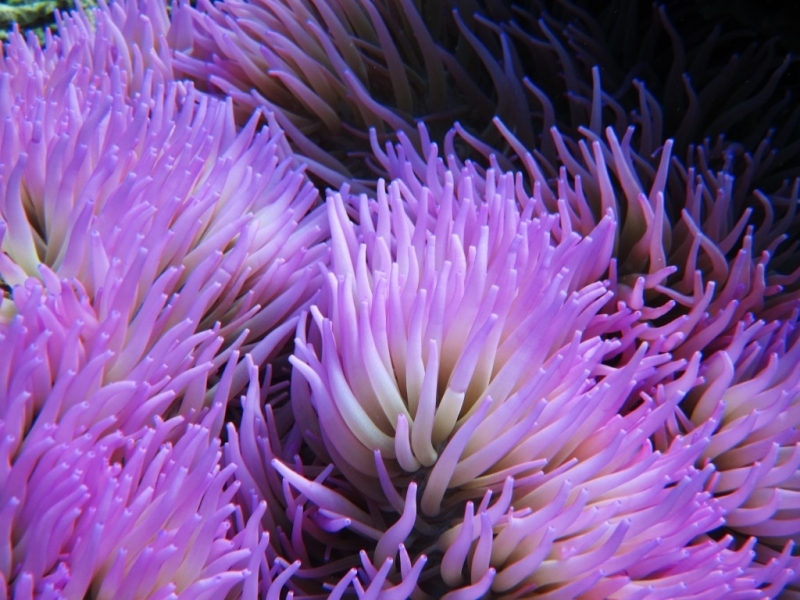 Sea Anemones are able to live attached to rocks or the bottom of the sea for up to 50 years.